Retirement can be a killer if one doesn’t stay active. The muscles and joints have a tendency to stiffen with age anyway, and when people quit working and retreat to the recliner, rigor mortise sets in. Lots of folks move to retirement communities that offer aerobic exercise programs from golf courses to aquatics workouts. For us it is too early for that, as we are in a traveling and exploring phase now. A one-hour ride every other day makes the corpuscles jingle! Kaye and I are regular walkers, and I have a bike that takes me even farther. And our life of adventure and travel keeps us moving even if it is just climbing into and out of the truck for restroom breaks while on the road. Photography is a great hobby for me and keeps me on my feet – or on my back in some cases. Yesterday I was looking for something to do and asked the waiter at the local IHOP if he knew where the skaters hang out. He sent me to the town skate park where I shot the kids flying and flipping on their skateboards and stunt bikes. The best vantage point for photographing this sport is down low, so I ended up sitting or lying down below the adolescent acrobats. It can be dangerous, but a bit of risk can get the adrenaline flowing, so it’s all good. Local trivia tidbit here: Kaye discovered that our current town, Fillmore, was the first California town to offer skateboarding classes in its physical education program in the middle school. Cool. 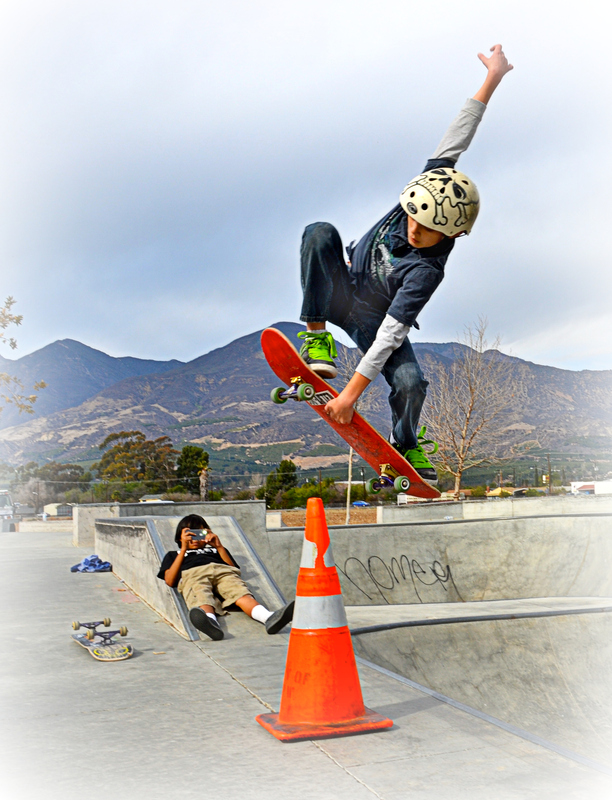 Another photographer was already on site shooting his friend’s flying antics with a smart phone when I arrived at the skate park yesterday. My cycling regimen is on hold for a couple of weeks while the local shop repairs my bike tires; I got two flats within 5 minutes of each other while riding the other day. It seems that there is an almost invisible thistle that is endemic to the American west and I discovered them while exploring the local two lane blacktops that wander through the orange groves around the camp here. Apparently it is common for towns in California to have world class skate parks. 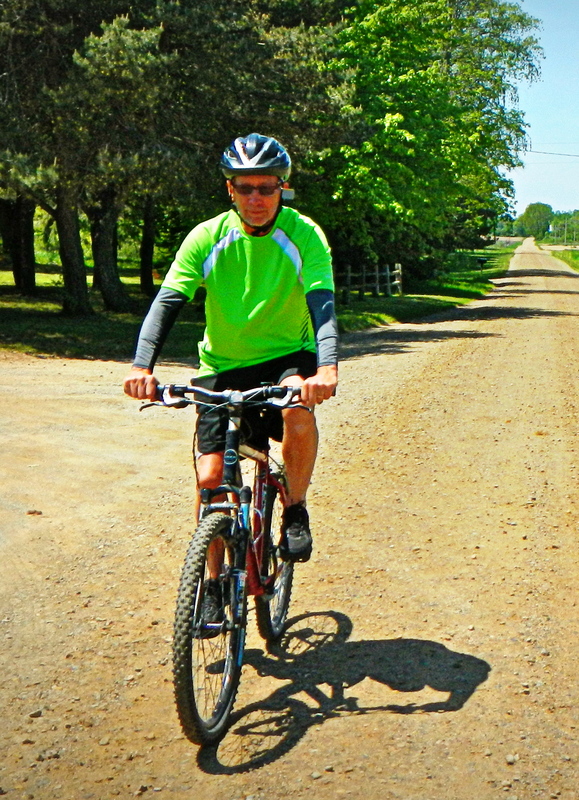 What do you do to stay fit while traveling or after retiring? 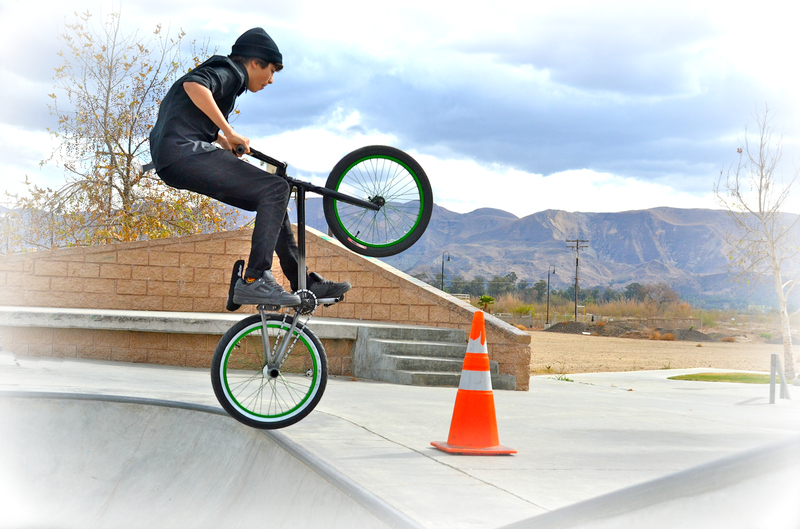 View a gallery of 45 pics from my skate park shoot here. 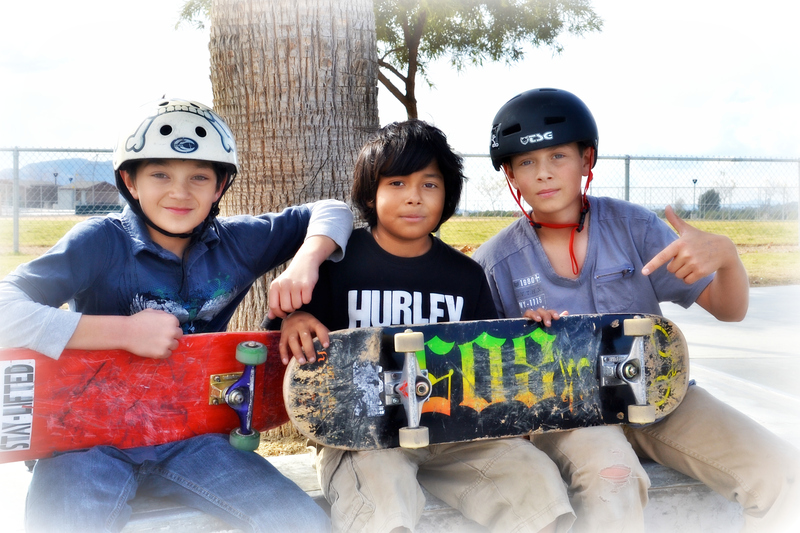 Some of the skater dudes were kind enough to pose for a minute so I could shoot some faces.